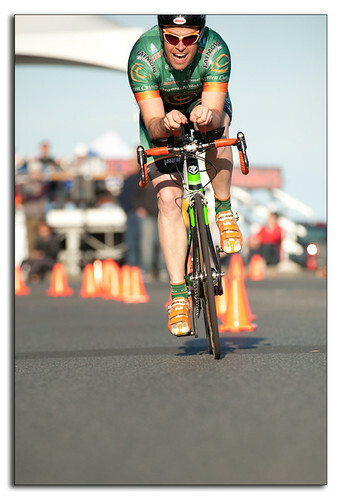 Welcome to the new Blog section of the Victoria Chapter of OrganicAthlete! 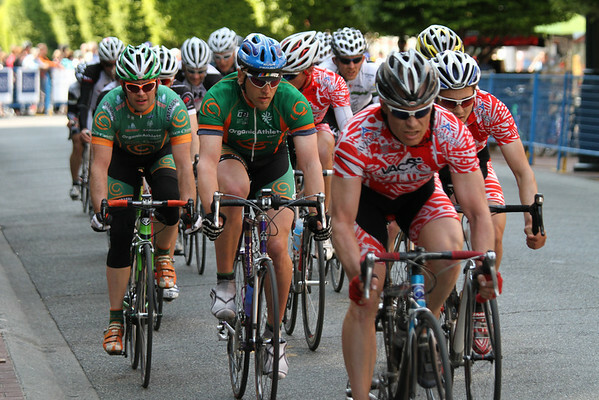 Our first entry will focus on the Vancouver Island Cycling Festival, in which three of our members participated, Marty Machacek, Evan Guengerich and Dave Shishkoff. 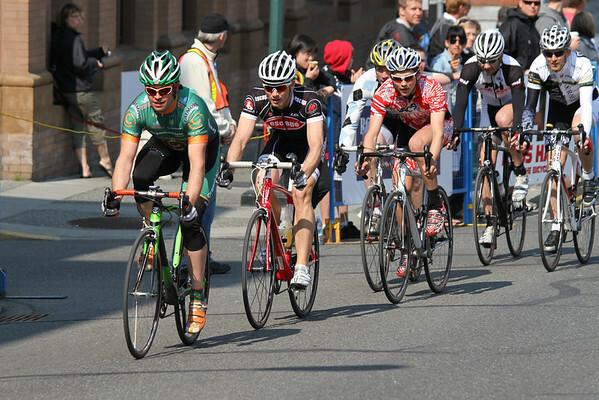 The first in a 3-Part race series of pairs of drag races right in front of the legislature! Both Marty and Dave made it out to race this 'open' event without categories. It comes down to those who can sprint the 300 meters fastest for the win! Marty made it 4 (of 6) rounds before being eliminated by the speedy youngster Derek Brain. Dave made it one round further, but was eliminated by Canada's top downhiller Jamie Biluk. Dave made it far enough that it wasn't quite over yet, and one more race against local fixie speedster Parker Bloom for 'Bronze' (3rd & 4th). Parker started quick, but Dave dug deep and overtook him halfway down the strip, and punched it for the line, earning him the 3rd step on the podium for the night! 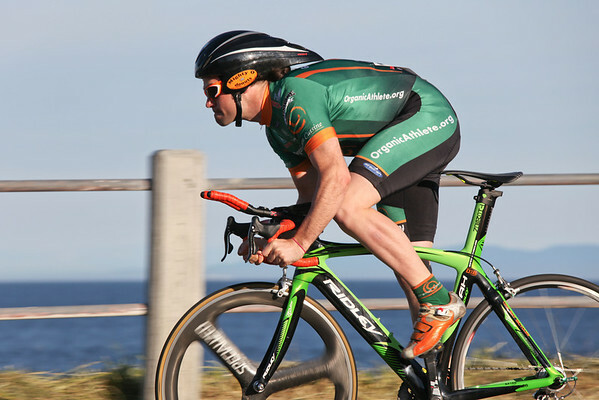 The Hotel Grand Pacific Harbour Sprints: Race 1 from Brian Park on Vimeo. 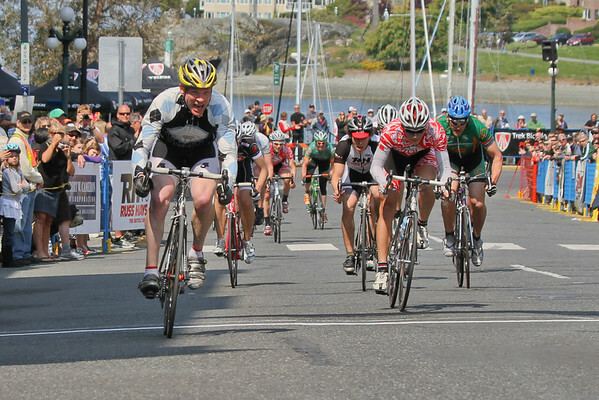 "Tour de Victoria--90k version! Anticipation, rolling enclosure, closed roads, being undertrained, riding fast in a bunch, fighting to stay in contact, hills, being dropped, rain, soaking wet, drying out, great volunteers and spectators, digging deep till it hurts just cause, meeting Simon Whitfield, being passed by Ryder Hesjedal, post ride debrief with Cal, remembering why I love cycling. What a great morning." 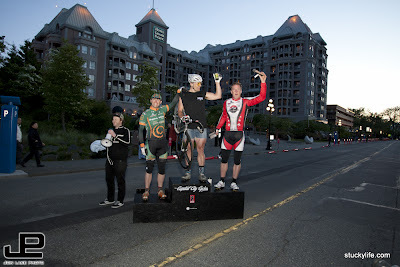 Another brand new event, this short but intense 5.3km race against the clock with the Juan de Fuca Straight and mountains as a backdrop up and down a blustery Dallas Rd. 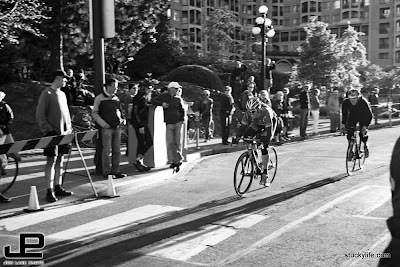 The crown jewel in this weekend of racing, the Bastion Square crit, a 900m loop in downtown Victoria, is one of the most famous races in BC, and hotly contested! Dave and Marty lined up for the Cat3 race, which would doubtless be fast and intense. 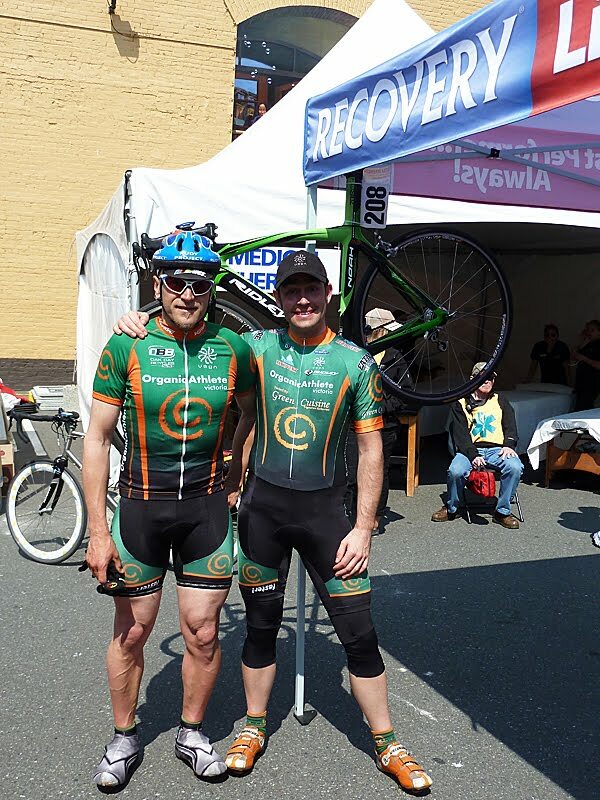 Dave has had a top finish on this course in the past, earning a 3rd place in the Cat4 race several years ago, but this was Marty's first time racing the course. At 9:45am they were off to a quick start, hitting 50kph in the first 40 seconds! 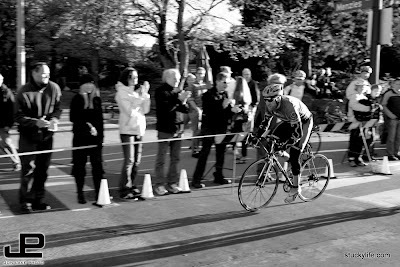 Things leveled out soon after, but the field of 19 racers was very evenly matched, and despite numerous attacks over the 51 minutes of racing and averaging 39kph, no one could escape or solo away, leaving it to a bunch sprint finish. A big thank-you to team sponsor Purica for lending us their tent, providing some appreciated shade for our warm-up and cool-down, and a thank-you to the rest of our sponsors for helping us get this far! 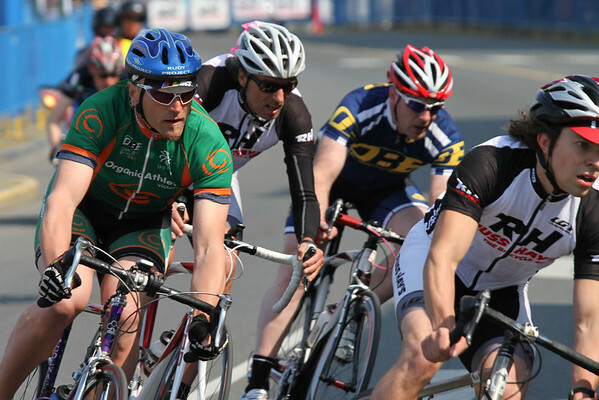 More local races are in our near future, with the Harbour Sprint series continuing the next two Fridays, and much more racing will be underway with the re-opening of the Juan de Fuca Velodrome! Dave, Marty and others will be regular faces at the weekly and big events there.